Whether you are on private property or at a commercial business, you have an expectation of safety while on that property; however, accidents happen. One of the many dangers leading to accidents is inadequate or improper lighting on the property. When inadequate lighting results in an injury or accident, you may have a premises liability claim. Premises liability holds property owners legally responsible for accidents that occur on their property due to unsafe conditions. Business owners, property owners and landlords are required to keep their property safe from hazards and dangers that can cause accidents — providing a reasonably safe environment for those who reside, visit or work on their premises. This responsibility includes common areas, parking lots and other areas open to the public such as playgrounds, offices and storefronts, too. Store owners and owners of commercial establishments must inspect for dangers and either correct the dangers or warn visitors about them. Private property owners only need to correct or warn of obvious or known dangers but aren’t expected to inspect their properties. This duty includes not just maintaining the physical structures but also in providing appropriate lighting and security. Inadequate lighting premises liability claims can be filed against property owners, small businesses, large corporations, individual employers, governmental entities, municipalities, and landlords. Slip and fall accidents. For example, poor lighting in restaurants, grocery stores, restrooms, and other locations with tile, wood or vinyl floors can make it difficult to see spilled liquids, easily causing someone to slip and fall. Trip and fall accidents. In congested environments, such as warehouses, stores, and cluttered hallways, poor lighting can make it difficult to see what may be in one’s path. Stairway accidents. 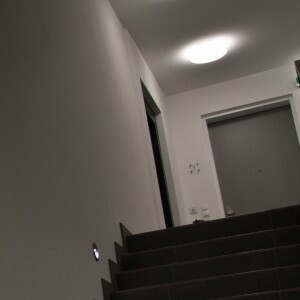 Inadequate lighting can make it difficult navigating stairs, making a person susceptible to tumbling and falling down the stairway. Inadequate security. Poor lighting on commercial premises can increase the chances of a crime being committed, contributing to violent crimes such as muggings, armed robberies and physical assaults. Auto accidents. Inadequate lighting in parking lots can lead to collisions between cars, trucks and motorcycles. Who is responsible for your injuries caused by inadequate lighting? When inadequate or poor lighting created or contributed directly to your injury, the property owner who failed to ensure appropriate lighting may be responsible for the injuries that resulted. While cases involving inadequate lighting can be difficult to prove, having obtained substantial settlements for premises liability cases, the experienced attorneys at Nash & Franciskato know what to look for and how to prove unsafe conditions. Contact us for a free, no-obligation case evaluation.